Dante&apos;s Divine Comedy is widely considered to be one of the most significant works of literature ever written. It is renowned not only for its ability to make truths known but also for its power to make them loved. It captures centuries of thought on sin, love, community, moral living, God&apos;s work in history, and God&apos;s ineffable beauty. Like a Gothic cathedral, the beauty of this great poem can be appreciated at first glance, but only with a guide can its complexity and layers of meaning be fully comprehended. This accessible introduction to Dante, which also serves as a primer to the Divine Comedy, helps readers better appreciate and understand Dante&apos;s spiritual masterpiece. 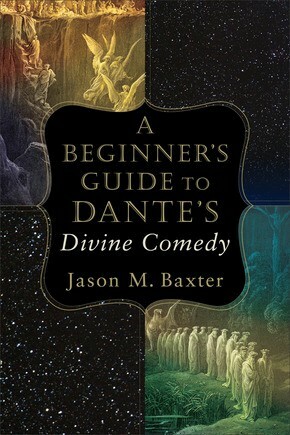 Jason Baxter, an expert on Dante, covers all the basic themes of the Divine Comedy, such as sin, redemption, virtue, and vice. The book contains a general introduction to Dante and a specific introduction to each canticle (Inferno, Purgatorio, and Paradiso), making it especially well suited for classroom and homeschool use.